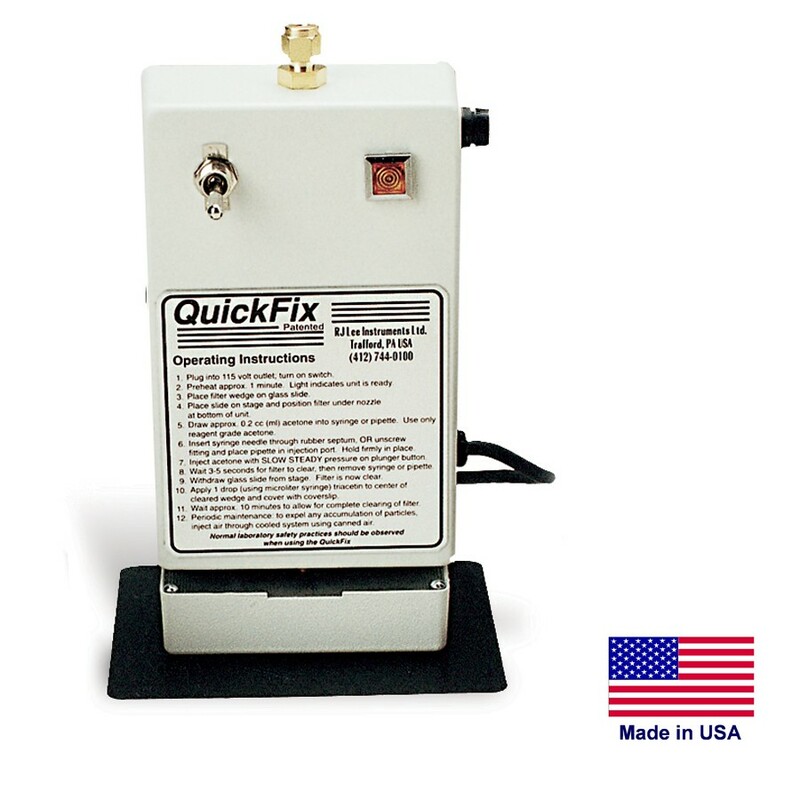 The QuickFix was the first commercially available “instant” acetone vaporizing unit for clearing sample filters. Since its introduction in 1986, thousands of these patented units have been used throughout the industry. The QuickFix provides a fast, and now even more efficient, way to comply with the NIOSH 7400 method for PCM sample preparation for the analysis of asbestos and other fibers.